DORACOR is an anagram/pseudonym for keyboardist and drummer Corrado Sardella. Segni Premonitori (1998) and Antiche Impressioni (1999) are the 2nd and 3rd Doracor albums. These are high-caliber, primarily-instrumental symphonic rock albums, with Corrado handling most of the instruments himself, with assistance from guest musicians. These have a very full-band sound and a 1970's orientation. The best way to think of them is as the albums Tony Banks could make if Tony made progressive rock solo albums instead of trying to match the chart success of Phil Collins and Mike Rutherford. Antiche Impressioni features a female vocalist, a bassist and a guitarist, while Segni Premonitori features a male singer and a guitarist. 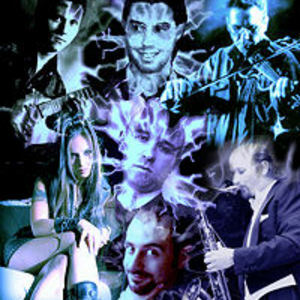 "Transizione" (2001) trumps the earlier albums, as here Sardella is aided by seven other musicians, and the sound is that of a full band, with male and female vocals in Italian. It is one of the best symphonic progressive albums that no one has heard and is quite similar to the first album by the French band HECENIA. Though it does have most of the hallmarks of the Italian 1970's romantic progressive style, it is even more influenced by GENESIS circa "Wind and Wuthering", while at times the energy level suggests later bands such as IQ. "Evanescenze" (2005) continues in this vein but is even better. Just male vocals this time around, but they are very strong, reminding one of ATON's or even LOCANDA DELLE FATE at times."